Makeup Buzz: Who says hair maintenance has to be expensive? It's not easy to find coconut oil in Singapore. I could only find them at Holland & Barrett and GNC. GNC's Raw Coconut Oil retails at SGD70+ for a 32 FL OZ bottle. Both stores run out of stock for this sometimes. I tried checking out Jasons Market Place at Raffles City, can't find coconut oil in there either. So, since the raw coconut oil is so precious and I don't want to waste this on my hair everyday, I decided to go hunt for hair products that contain Coconut and I'm lucky to find them all at Mustafa Centre. 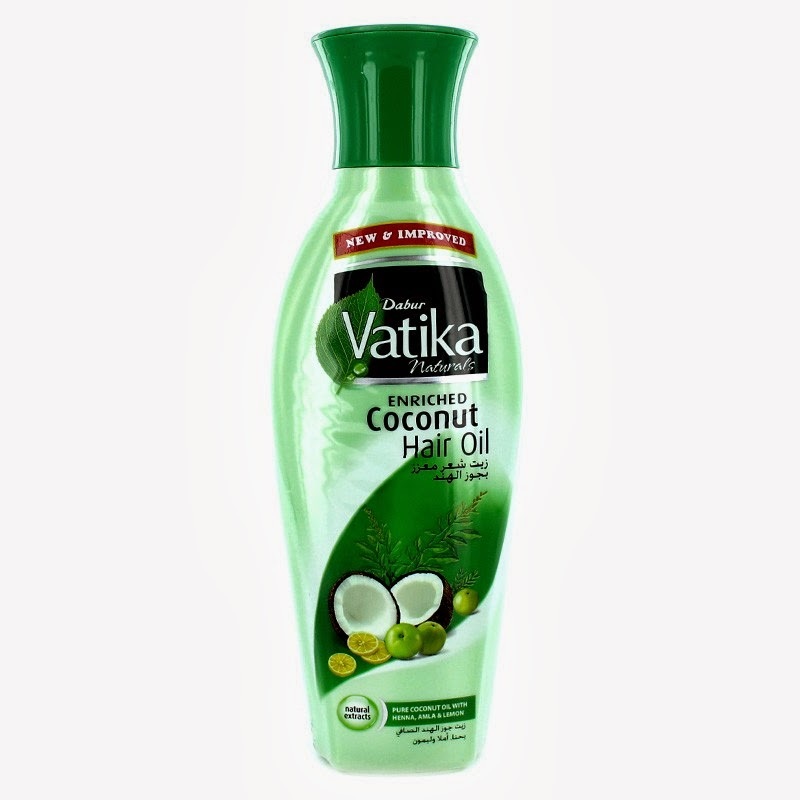 Dabur Vatika Enriched Coconut Hair Oil (SGD2 for 125ml). Made in United Arab Emirates. Read reviews on this product online and a lot people highly recommended this item. It is said to give hair and scalp extra nourishment for problem free and healthy hair. I use this product as a night treatment for my hair and scalp. I have been using this every night for the past 1 week and my hair texture is improving everyday and my scalp feels great after every wash. It feels like you went to a hair salon to get a hair treatment. To use, massage the oil onto your scalp and apply some on the hair. Leave overnight and wash hair as usual the next morning. 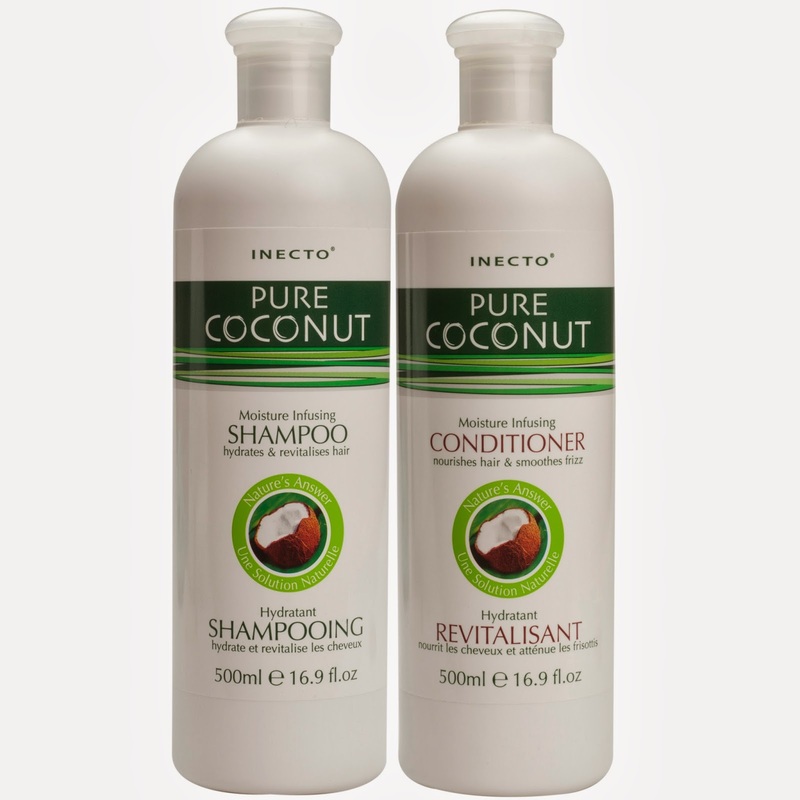 Inecto Pure Coconut Shampoo and Conditioner (SGD4.90 each for 500ml). Made in England. The rating for this product on Makeup Alley is not so great. 3.3/5 for shampoo and 3.5/5 for the conditioner. Nevetheless since there are no other coconut shampoo at Mustafa Centre, I decided to just buy and give them a try. Again, it is not easy to find Coconut Shampoo in Singapore. Other brands I came across are Dessert Essence (Nature Farm might have it) and Palmers (BHG might have it). For start, I decided to go for the cheapest. So far, Inecto seems to work for me - just that you must remember to use the conditioner after shampoo or it will be a little tough to comb through the hair. 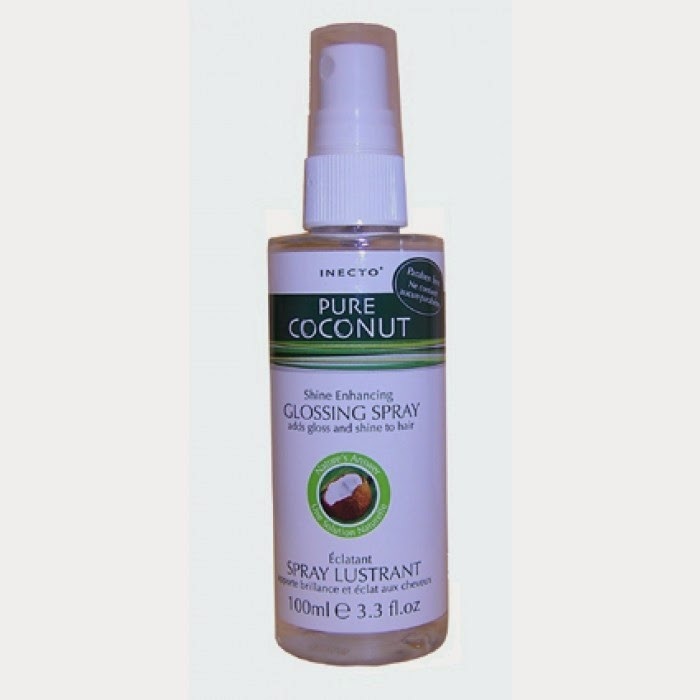 Inector Pure Coconut Glossing Spray (SGD5.80 for 100ml). This one is a real steal. I have never used any glossing spray that is so effective but yet so cheap. I use this as a finishing touch for my hair after I blow dry and style. A little goes a long way. There is a little coconut smell when you first apply it, but the smell does not stay for long. Highly recommended, especially for those who have frizzy hair!